Okay so we’re not off to a good start with such a big contradiction in the title of this post but bear with me and we’ll get to the c-section part eventually. My biggest piece of advice for anyone at any stage of pregnancy or early motherhood is to just relax, go with the flow – don’t stress or over-analyse. Be prepared, sure, but don’t go mad with the books and classes and all that stuff. You really don’t need so much noise. In my opinion it will make you more stressed and overwhelmed in the long run. That being said I did not expect to have an emergency c-section, I’m sure no one does really. I spent my whole pregnancy striving to be positive and keep things simple with the hope that my attitude would lead to a positive birth. I wanted a water birth with no interventions or pain relief. Needless to say Luisa was born via emergency c-section at 38weeks. It was honestly a pretty harrowing concoction of fear, disbelief and powerlessness. 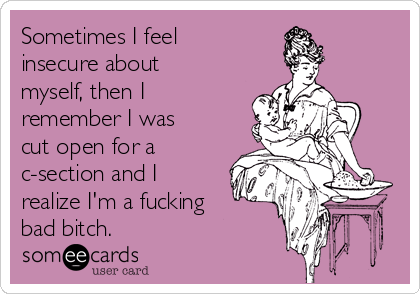 I shut down and went into patient mode, quietly unravelling and wishing someone would speak to me like an adult. I needed someone to acknowledge that I was more than a vessel. Ultimately I know it was an emergency situation and everyone’s priority was the safe delivery of my baby and for that I am grateful. With hindsight I can’t help wishing I’d prepared for the possibility of an emergency c-section even a little bit and wondering if I would have felt more empowered if I had. So. This is how you can prepare for the possibility that you many have an emergency c-section without terrifying yourself and creating some sort of pathetic fallacy situation. In terms of ‘gear’ you don’t really need anything different than for a ‘normal’ birth so don’t worry about that. Be aware that they will read you an extremely long and terrifying list of all the awful things that can happen to you and you’ll have to agree to go ahead anyway. This will likely take place as you’re being hurtled down a corridor on a trolley pre-epidural and you will want to punch the anesthesiologist who expects you to answer whilst you’re contracting. Speak to your partner/family/friends about how flexible they could be to stay off work longer / come over etc should you have an emergency c-section. You will need help at home and you should not feel guilty asking for it. If you wear glasses instruct your birth partner to bring them to the theatre – do not accept no for an answer. Mine got lost in the circus and I missed out on that first look at baby. On a related note if you have contacts in you will likely have to take them out – this is incase they need to give you a general anesthetic as opposed to /as well as an epidural. Read up a little about the procedure. Stay far away from horror stories and do not get sucked in. Just make yourself aware what the whole thing will entail so you aren’t totally clueless should you need an emergency c-section. I’ve posted some links below to amazing blog posts you should read instead of trawling forums. If you find yourself having an emergency c-section above all try to remain calm and in control of yourself. You are the boss of you. Sure you’ll be ordered around and it’s for your own good but I mean you are in control of your own mind. Be positive. Focus on your baby. You can get through this. As I said above there are more than a few lovely bloggers who’ve written about their own c-section experiences. Some were planned, some an emergency and all are really sensitively written. If you’re looking for more advice about what to expect I really recommend reading these rather than heading to Facebook or a forum for advice. 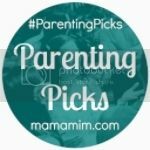 Yes, these places have a lot of good info from other mums but in my experience they also have a lot of drama that can be scary and intimidating. Congratulations on the safe arrival of your little girl. 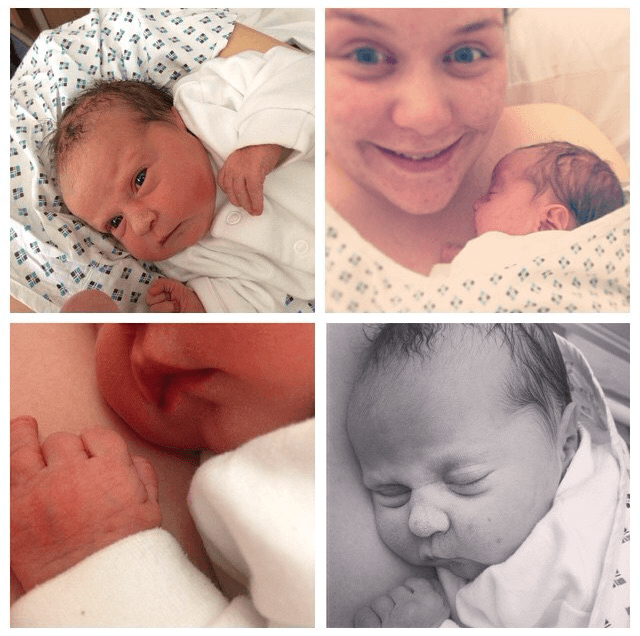 While I’ve not had a c-section, it was something that was always in the back of my mind. Awh shucks i’m flattered you liked it!!! Thank you so much for hosting, I really enjoyed the linky found tonnes of good reading! Thank you for sharing your experience. I trained as a children’s nurse and had my maternity placement whilst pregnant with my eldest so I was “fully aware” of what could happen! I have three children each birth was very different, the eldest was delivered breach in theatre as it was too late for a c section, the middle was a hospital birth the youngest was born at home on Christmas day which was magical. Birth can be dangerous for mum and little one so any birth plan is just that – a plan and rejoicing however they are born that mum and little one are safe.